Welcome to the Portchester Karate Club. 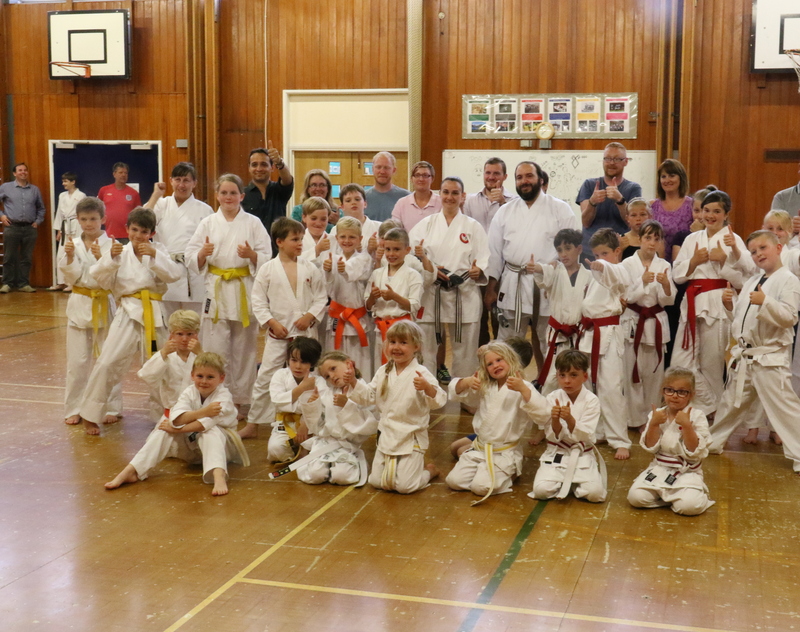 Portchester Karate club and the Eastleigh and Southampton Karate club (ESKC), located in Wyevern College, Fair Oak, are sister clubs. Two Juniors with their Dad's (and Sensei Dave), who have just completed their first lesson. Same two dads are trying to catch up with their children. The Dads are still trying to catch up. All now in the Brown belt grades. Karate, a Japanese developed martial art, which simply means ‘empty hand’, is much more than the art of self defence. The practice of karate develops self confidence, self discipline, a sense of respect for self and others and is an excellent developer of character. The physical exercises and regular training develops body stamina and strength and helps to maintain good health. Karate is suitable for most people and at Portchester our members range from 6 to 80. The only way to learn the true art of karate is to practice in a well-established reputable club with instructors who have an excellent knowledge of the art and the ability to teach in a welcoming and friendly manner. This site isn’t intended to be a reference guide for the practice of karate, but it is full of information on the club and how karate is practiced within it. New members are welcome, and we endeavour to make them feel part of the club in as short a time as possible. 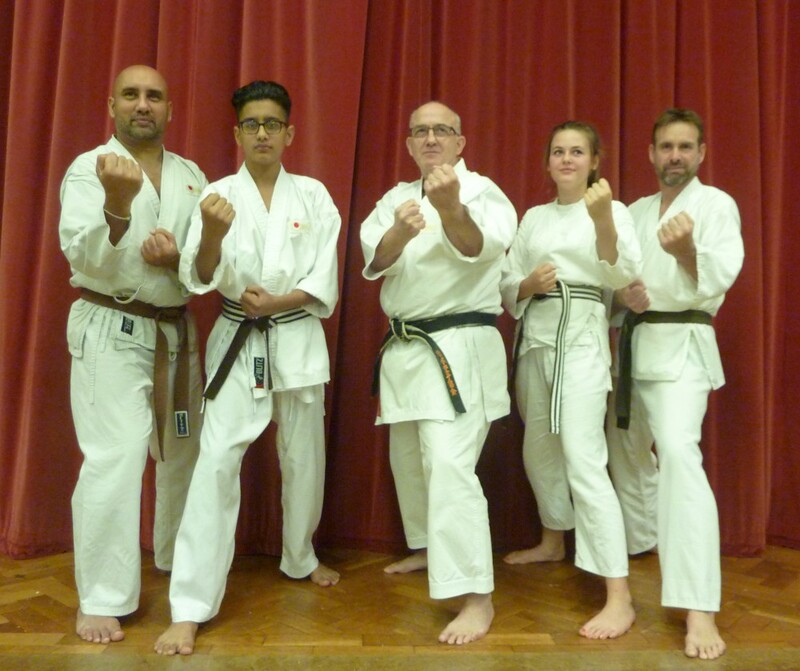 If you are interested in trying karate for yourself, or you are one of those many people who have harboured an interest but never found the time, do email or telephone us, or simply come along to one of our sessions and meet the team.